The MD of STIHL SA, Hayden Hutton, has personally cautioned all South Africans, especially those in the Gauteng region, to beware of criminals posing as STIHL employees and selling counterfeit STIHL products. A spate of e-mail reports from Gauteng residents in recent days have told similar stories: a middle-aged man, posing as a STIHL director from Germany, has approached motorists and offered to sell them "STIHL"-branded chainsaws from the back of his car. One of the near-victims managed to take a photograph of these chainsaws – and STIHL SA has identified them as counterfeit goods. "Counterfeit chainsaws resemble original STIHL products, particularly because of their orange and light-grey colour scheme, and sometimes even carry forged ‘STIHL' brand labels and STIHL model designations," Hutton says. "People can be sure that no genuine STIHL employee will ever sell our chainsaws from the back of a vehicle on the side of the road. That is simply not the way we do business," Hutton said. He added – as a general warning – that unrealistically low prices are almost always an indication of forged, poor-quality, high-risk power products. STIHL sells its world-renowned products exclusively through specialist dealers, guaranteeing authenticity, technical service and advice. Customers can be absolutely certain they receive 100% STIHL quality and not cheap copies. Counterfeit, inferior quality chainsaws are a worldwide problem, even in first-world countries. In England, counterfeit chainsaw hawkers have been arrested, while the German CID has also been pursuing the matter. 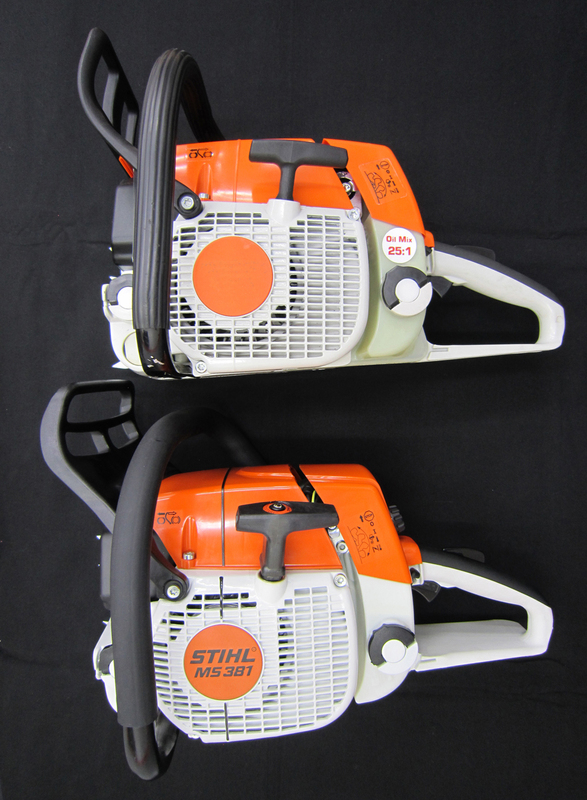 Counterfeit chainsaws can resemble original STIHL products and sometimes even carry forged ‘STIHL' brand labels and STIHL model designations, but the genuine STIHL product will only ever be sold at athorised STIHL dealers.